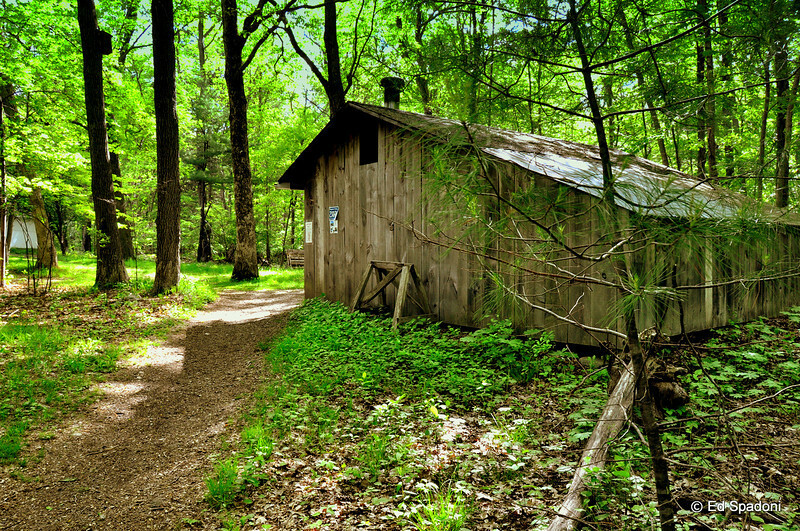 This is a maple syrup shack in the midst of a beautiful forest. Beautiful shot...looks like my kind of place! I love the way the light on the path pulls our eye into the shot. Wonderful detail and color and comp! I guess Iike everything about it! beautiful shot, wish I was walking there right now it looks so serene. I love the comp and point of view --- just walkinf through and past the shack along the dirt path. Just great.